cdcindonesia.com - The enthusiasm of all the job seekers, the following is information about job vacancies that come from one of the automotive companies in Indonesia, namely:PT Toyota-Astra Motor - TAM or known as "Toyota-Astra Motor" a major automotive company in Indonesia. Toyota-Astra Motor operates primarily as a sole distributor of all Toyota and Lexus brands in Indonesia. Toyota-Astra Motor engaged in the field of distribution and import of Toyota brand vehicles in Indonesia. 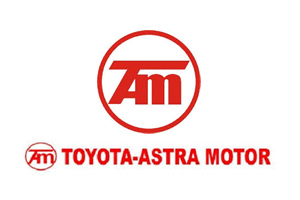 PT Toyota-Astra Motor is a multinational joint venture company between Indonesia PT Astra International Tbk (Astra Group) and Japan Toyota Motor Corporation (TMC). At present, Astra Group holds 50 %% shares in Toyota-Astra Motor and 40% remaining shares was owned by TMC.